Running a daycare is immeasurably important and difficult. Having complete coverage allows the business owner to focus on caring and growing the next generation. As you know, parents are not always rational when it comes to their children and a claim against you without liability coverage, no matter the waiver, can put you out of business. Give us a call to discuss your current program or create one for you. The piece of mind of being covered will allow you to focus all of your attention on whats important. Call me if you have any questions: Carissa Clements-Moock Email: cclements@trueassoc.com Below are available coverages and a brief description of how they apply to daycares. We live in a litigious society. Even if a claim against you is baseless the daycare owner will be responsible for court cost and settlement, regardless of hold harmless or waiver. Liability insurance provides coverage for settlement, court costs and legal fees associated with any covered event. Abuse and molestation liability: If an employee of your daycare turns out to be sexually or otherwise abusive, your business can be liable for extremely expensive fines and medical payments. This insurance coverage will protect your business from severe financial losses. Beware of policies with defense cost included in the limit. Keeping a child engaged and protected requires a lot of toys and equipment. Property insurance will reimburse you for any covered lost, stolen or damaged contents in addition to covering the building and property. 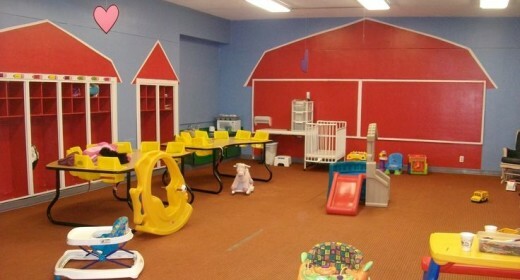 If you run the daycare out of your own home you can add a small rider to your homeowners policy. This is a delicate scenario and the business owner should go through his/her insurance agent to ensure full protection. Below are “special” coverages applicable to daycares that are not automatically built into commercial policies but can be endorsed on for a small surcharge. Workers compensation is required to an extent depending on the size of your business. Getting it through the state typically comes with a surcharge (up to 35% of premium in NJ) so consult an agent for more efficient options. Alienation of Affection: This protects you against claims that you are “stealing the affection and control” of a child. Accident Medical Coverage: This pays medical bills resulting from an accident, even if it is not your fault. Be sure this coverage is without a deductible. Most daycares are run by hard working individuals who care about their community and it’s children. Give us a call to discuss your current program to ensure you are protected.